Earlier this winter I was trying to remember all the vehicles I’ve built and explored in, and the experiences and mistakes I’ve made. I’ve found myself moving towards the much less complex; just the basics. 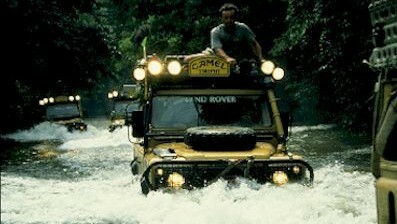 Hence where this 2001 Toyota Land Cruiser UZJ100; with many of the modifications being modular. 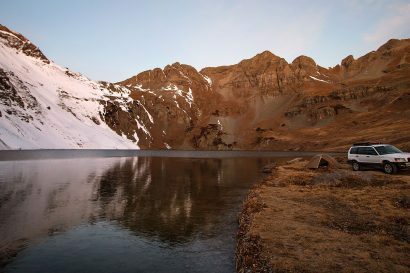 I can add or subtract for each trip. Ironman U.S.A. supplied the heavy lift springs, and torsion bars, along with firm shocks, resulting in a modest 2.5 inches of lift on the front, and 4.5 inches (unloaded) in the rear; just enough to improve approach, departure and break over angles and prepare the chassis for increased payload requirements. 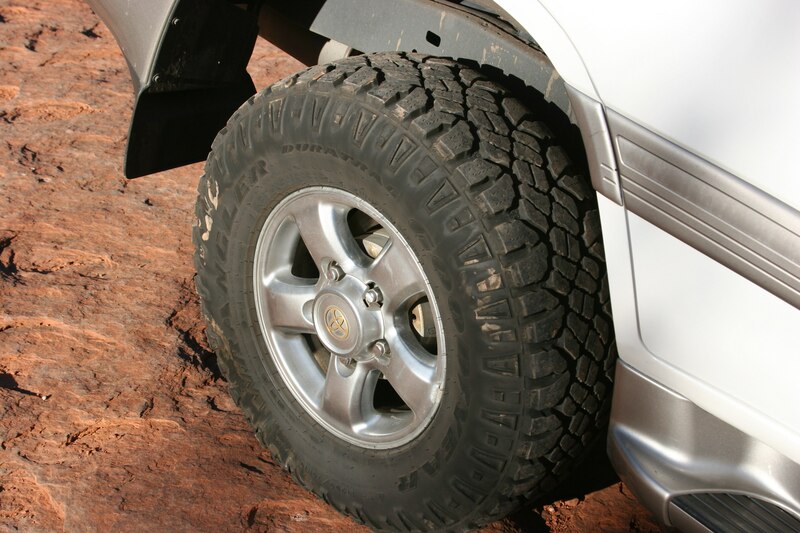 Rather than opting to fill the wheel wells with 35 inch tires, a set of 265/75R16 Goodyear Duratracs was installed. Measuring in at just under 32 inches, they are a small step up in size over the original equipment Michelins, without compromising gearing or economy. 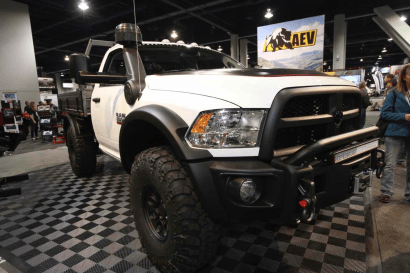 I have found the tread pattern, with medium sized lugs and plenty of siping, to be a good all around tire and much better on icy or snow packed roads, (as are common in our Northern Arizona winters), than a strict mud terrain pattern. 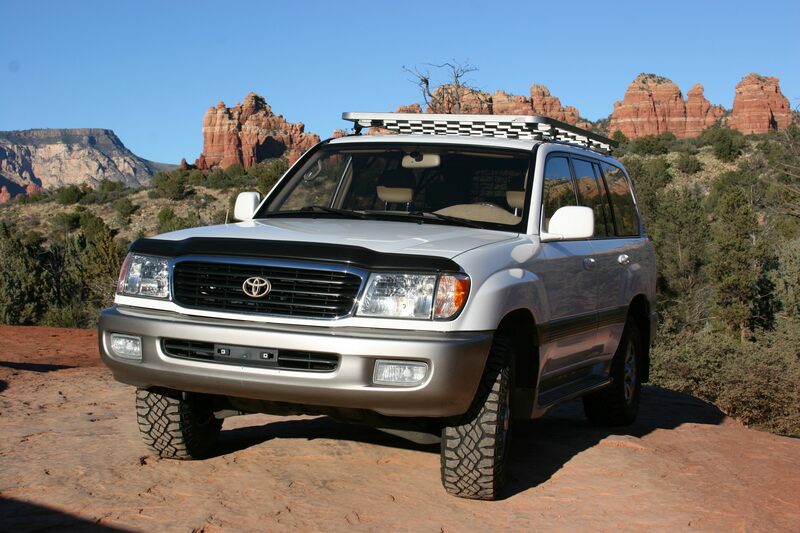 The now defunct company, African Outback Products, designed the low profile roof rack. 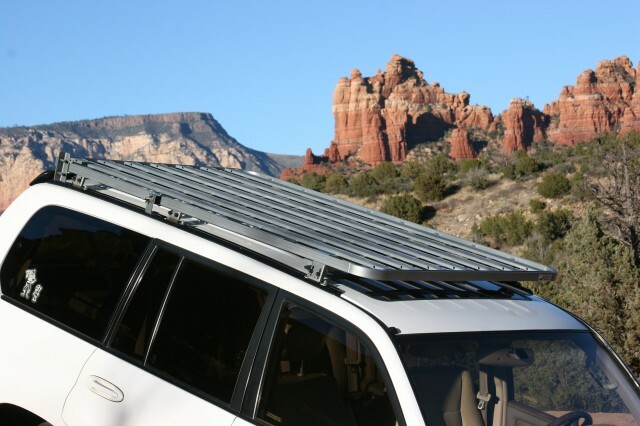 All aluminum construction, with full length support rails mounting to the factory roof rack points, but distributing weight along the entire roofline, the rack provides a firm base for rooftop tents, gear or use as a photographic platform. A folding camp table in conveniently stored in rails under the rear of the rack, and is height adjustable. The open rails of the rack itself incorporates a captured nut design, allowing modular accessories, such as fuel/water can carriers and awnings to be mounted as the need arises. 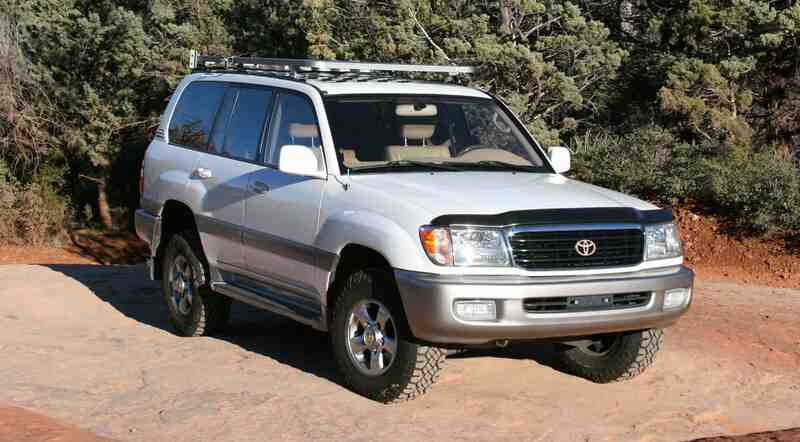 The Land Cruiser’s interior has been kept simple as well. Rear seat passengers are separated from the cargo compartment by a Speski Off Road barrier. 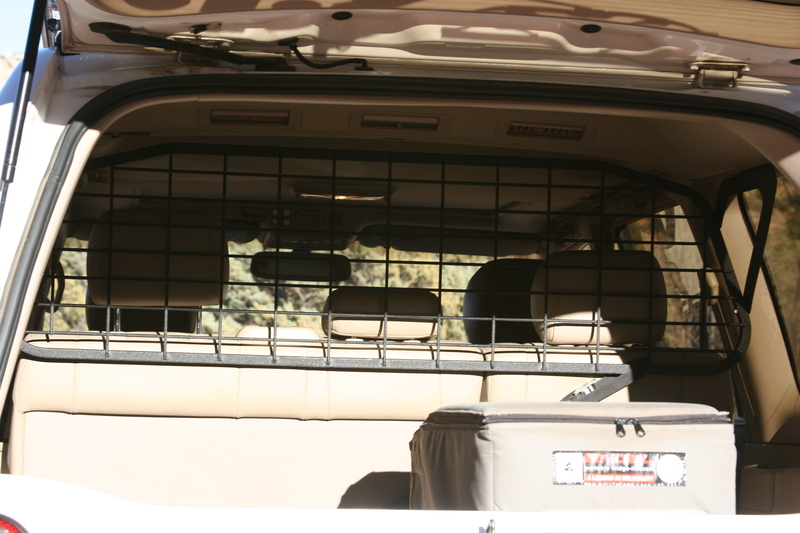 Mounting to the factory third row grab handle points (handles are removed), the barrier effectively covers the upper third of the interior, while still allowing the rear seats to be folded forward should longer items need to be loaded for transport. A tried and true Engel 35L refrigerator, clad in a transit bag and running flawlessly after ten years of use, is mounted to a Tembo Tusk heavy duty slide. The Tembo Tusk slide, with its steel construction and integrated cutting board, is easily as heavy as the refrigerator it holds and provides an extremely stable platform and easy access to the Engel’s interior and controls. Power to the accessories is managed by a National Luna Power Pack. Previous vehicles I’ve had used National Luna battery isolators and kits; all located under the hood. 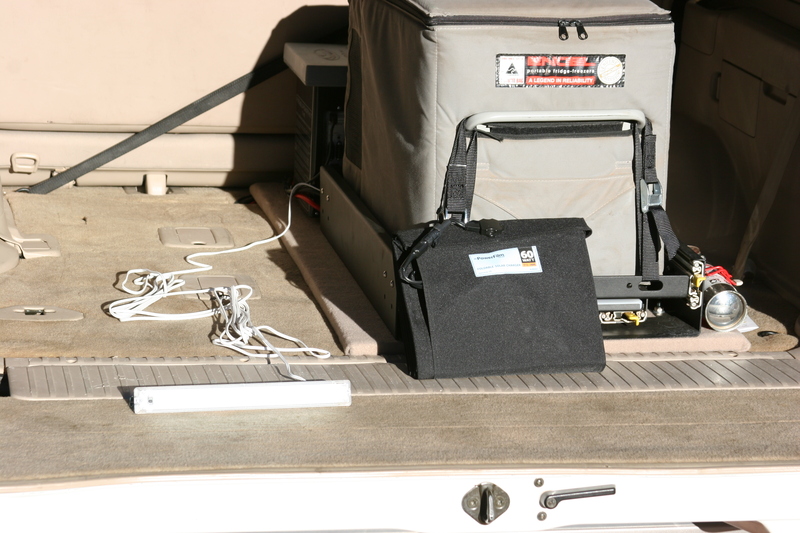 Not particularly wanting to relocate under hood accessories for a dual battery system, the National Luna Power Pack also has the advantage of being fully self-contained. . .and removable, for use inside or elsewhere in camp. Essentially a battery isolator and battery box in one, the National Luna Power Pack can hold up to a group 31 battery and is linked to the main battery; with self jump starting a welcome addition. Powering the refrigerator and auxiliary LED camp lighting, the National Luna Power Pack has a standard lighter plug, as well as a Hella plug. 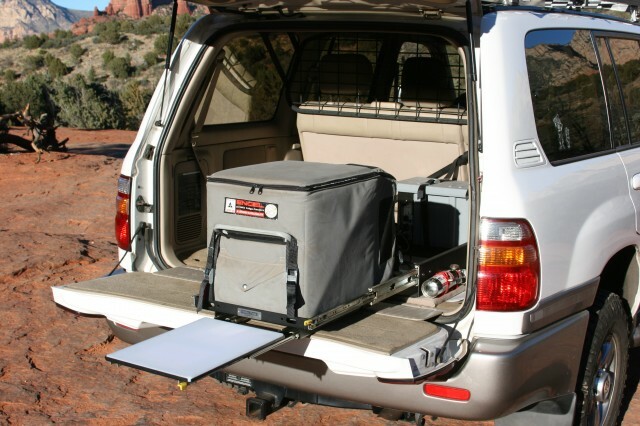 While the auxiliary battery is charged by the Land Cruiser’s alternator when the engine is running and the isolator links to the system, stationary charging is also provided by a 60 Watt, 3.2 Amp foldable solar panel from Powerfilm, with overcharging prevented by a solar charge controller attached to the interior of the battery box. While not a National Luna accessory, the solar panel rounds out the self contained nature of the portable power options. Having owned many Land Cruisers, including both North American and world market models, among them, I’ve found the 100 Series to be, in my opinion, the best all-around platform; providing solid off tarmac and travel capabilities while still allowing effortless and comfortable daily driving.